It turns out teaser trailers for hugely hyped TV shows don’t even need any actual footage of the show to get fans frothing at the mouth. The latest from the Game Of Thrones gang features not much more than (you guessed it) fire and ice sweeping across a computer-animated map of Westeros. The ice engulfs a statue of a wolf (the Starks) while the fire spreads across a lion statue (the Lannisters). So far, so Game Of Thrones. However, GoT wouldn’t be GoT without its devout fans and theorists who, much like the Three-Eyed Raven, have the ability to read into every detail of everything connected to the show. You see, in the new teaser, ice and fire aren’t the only naturally-occurring substances to appear. As the two spread across the map, they inevitably clash in the middle. But instead of the fire being extinguished or the ice melting, something else happens, and some fans think it might hint at what happens at the end of the next and final series of the show. As the fire and ice meet, a thick, black, coal-like substance appears and seems to form a barrier between the two. While it may simply represent the clash between the two sides, some fans have suggested a deeper meaning. The black barrier, some people have suggested, is in fact dragonglass which, for all you maesters-in-training out there, is also known as obsidian – the only substance other than Valyrian steel capable of killing White Walkers. As Samwell handily points out. Could it be then, that what we’re seeing in this new teaser is the formation of another wall, further south than the Wall we’ve come to know and love, and the one that wasn’t holding up very well last time we saw it? Or, as the wolf and lion statues (sigils of the Starks and Lannisters) get wiped out in the teaser, is it left to Daenerys Targaryen and her fire-breathing dragons to fight it out with the Army of the Dead? Either way, the ending of this TV show is going to both epic and emotional. We’ve already had a handful of hints about what might happen in this final series, like Peter Dinklage teasing a tragic end for Tyrion, or the return of a beloved character bringing a brief glimpse of hope. We’ve also been told that the first episode of series eight will mirror the first episode of season one. While that probably doesn’t mean a return for Sean Bean (sadly), it does signal the regrouping of Westeros’ main players back where it all began. Who knows if it will be satisfying for the fans. I think a lot of fans will be disappointed and a lot of fans will be over the moon, I think. 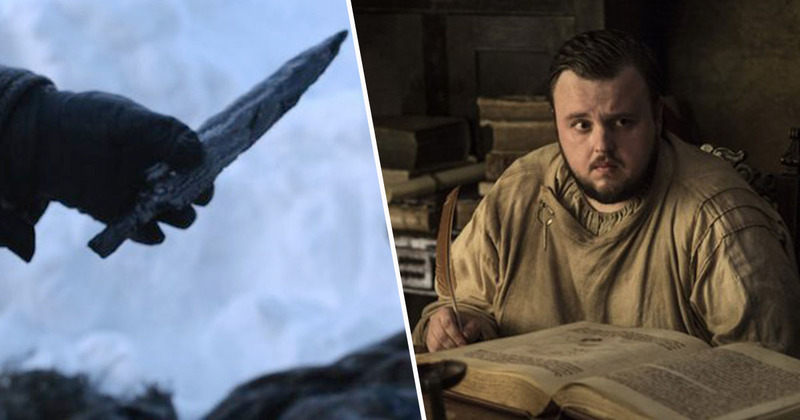 Here’s hoping Samwell Tarly discovers how to make shed loads of dragonglass and wipes out the White Walkers in one fell swoop. End of series. Don’t say I didn’t warn you.